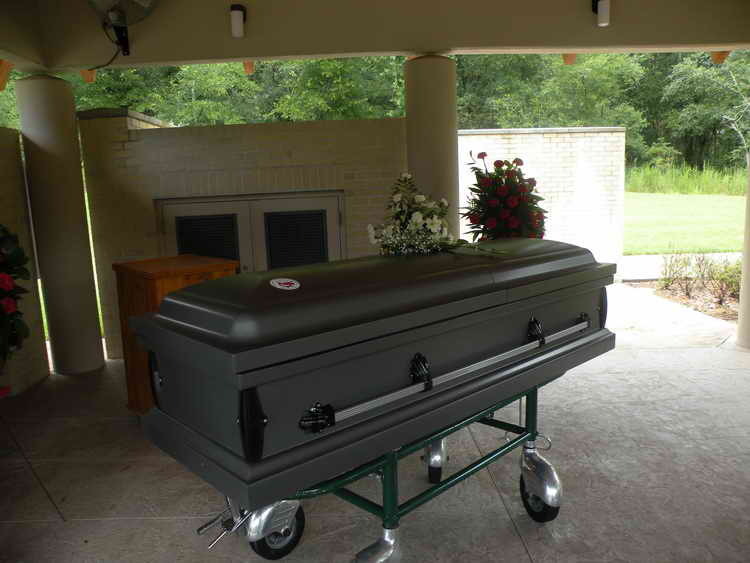 Thomas W. Porcella died in Melbourne, FL, after a 17-year battle with cancer. He was 86 years old. Born in Far Rockaway, Queens, NY, he graduated St. Mary's High School and entered the Army, volunteering to be a paratrooper. He was assigned to the 82nd Airborne, and while stationed in Nottingham, England, met his bride of 64 years, Molly Johnson. 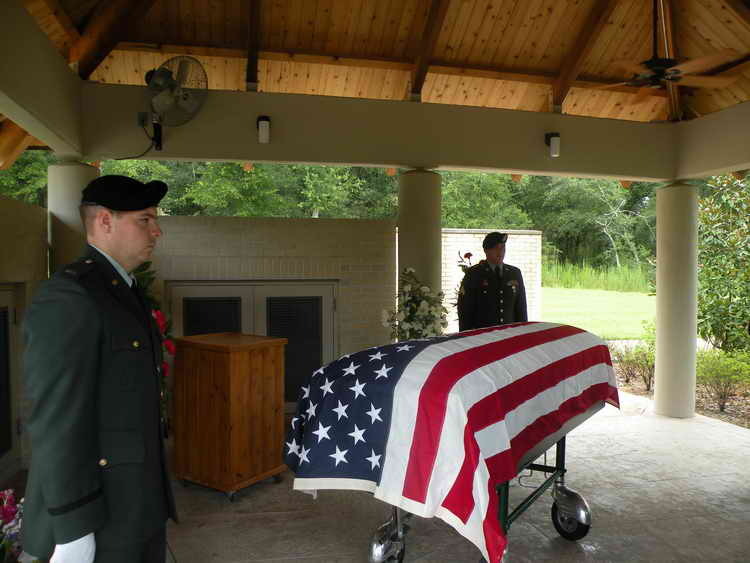 He jumped on D-Day into the Normandy countryside and later served in Belgium in the Battle of the Bulge, where he was wounded. 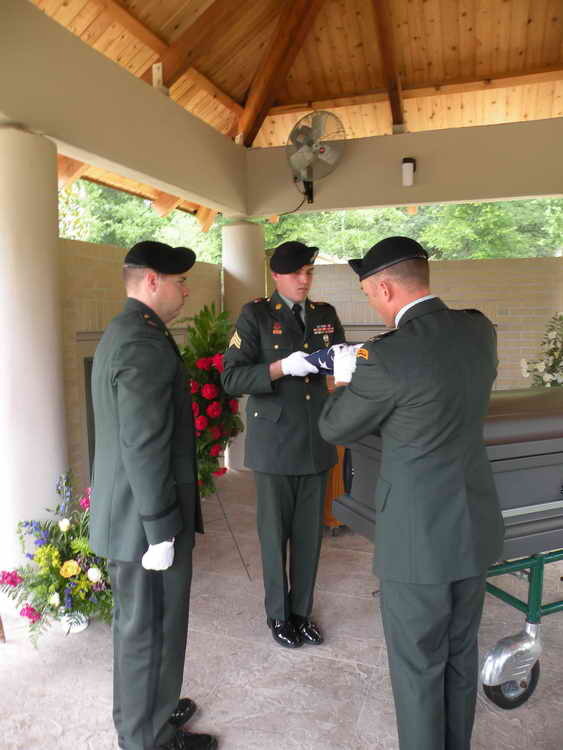 He was awarded a Purple Heart and Bronze Star for his valor and actions in combat. After the war, they settled in Massapequa, raising five children. 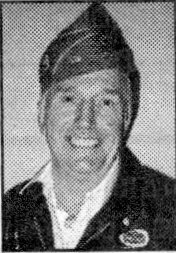 He was the owner of Westwood Plumbing and Heating until the late 1960's, when he became a mechanic for Pan American World Airlines. In the 1970's he returned to Normandy to reunite with a farmer who befriended the soldiers and served them Crepes Suzette, starting his love affair with people of St. Mere Eglise and Normandy. He wrote a book, "Jump Into Darkness" which was sold in France and the proceeds were donated to the French Cancer Hospital, a children's charity. He was instrumental in obtaining all 50 U.S. state flags to decorate the Musee Airborne St. Mere Eglise, the paratrooper's museum, where his original uniform is on display along with other WWII memorabilia. 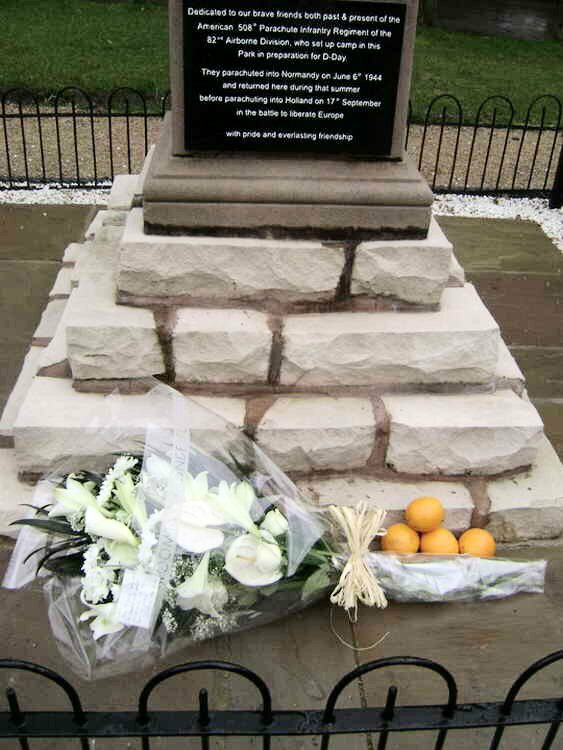 The affection was returned by the people of France, who named a street after him and immortalized the 82nd and 101st Airborne Divisions with a permanent memorial. 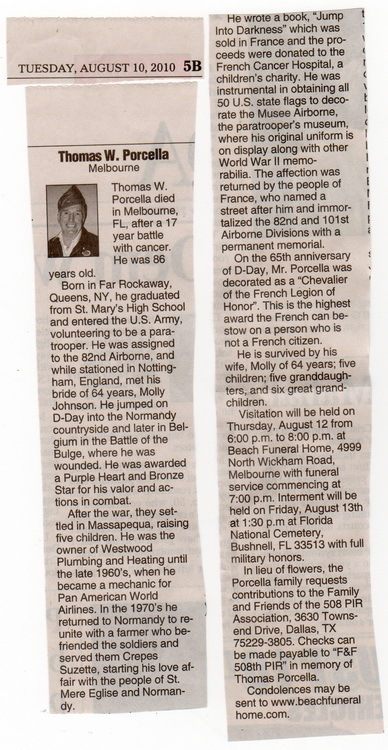 On the 65th anniversary of D-Day, Mr. Porcella was decorated as a "Chevalier of the French Legion of Honor". This is the highest award the French can bestow on a person who is not a French citizen. 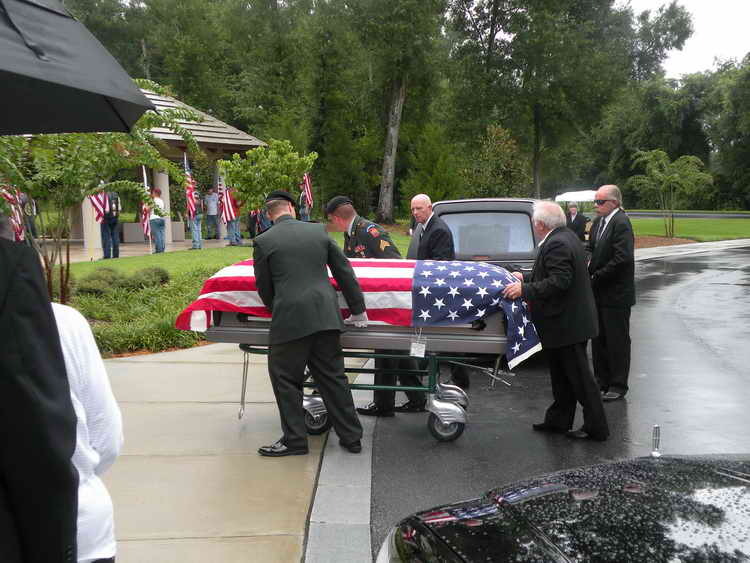 He is survived by his wife Molly of 64 years, five children, five granddaughters, and six great grandchildren. Visitation will be held on Thursday, August 12, from 6:00PM to 8:00PM, with funeral service commencing at 7PM at the Beach Funeral Home, 4999 Wickham Road, Melbourne, FL. 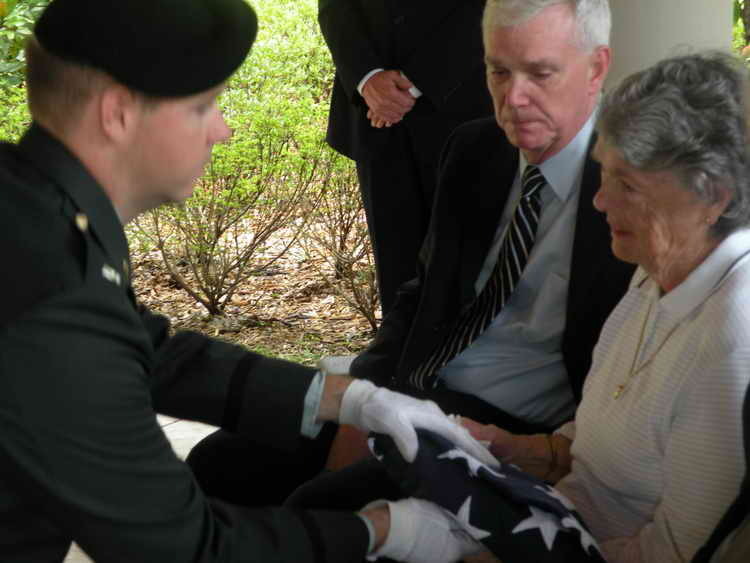 Interment to be held at Florida National Cemetery, Bushnell, FL 33513. In lieu of flowers, the Porcella family requests contributions to the Family and Friends of the 508 PIR Association, 3630 Townsend Drive, Dallas, TX 75229. 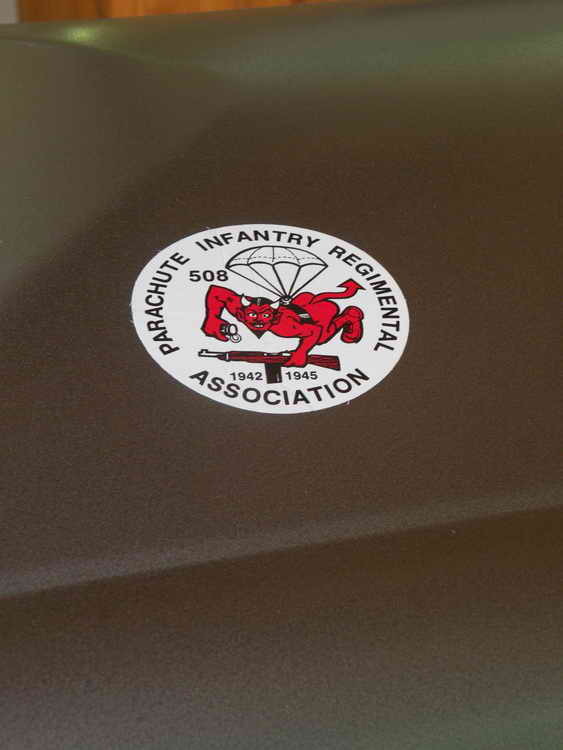 Checks can be made payable to "F&F 508th PIR" in memory of Thomas Porcella. 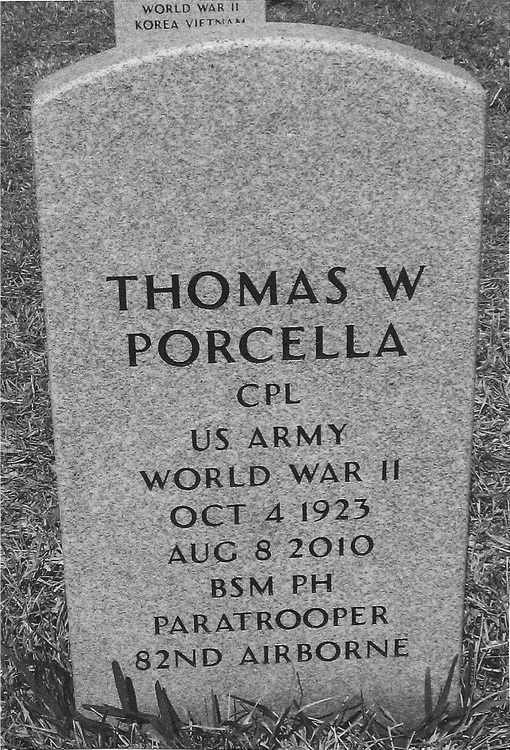 Tom Porcella was laid to rest on August 13, 2010 in the Florida National cemetery, Bushnell, FL. 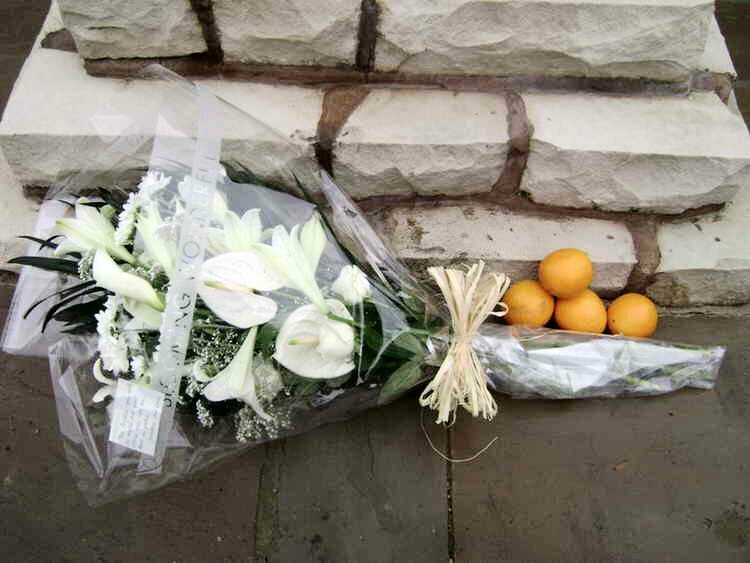 Casket wheeled from hearse to Committal Shelter "G"
The flowers were wrapped in a paper reading "In Loving Memory" and had a note attached as well. 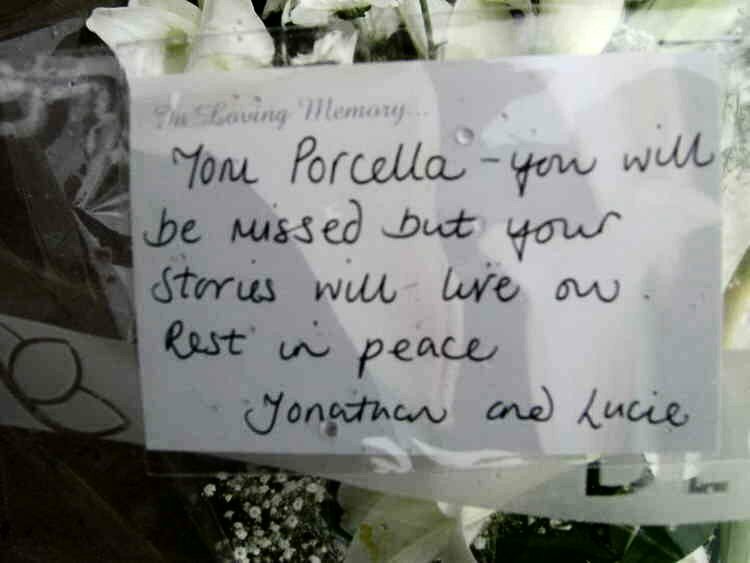 "Tom Porcella - you will be missed but your stories will live on.